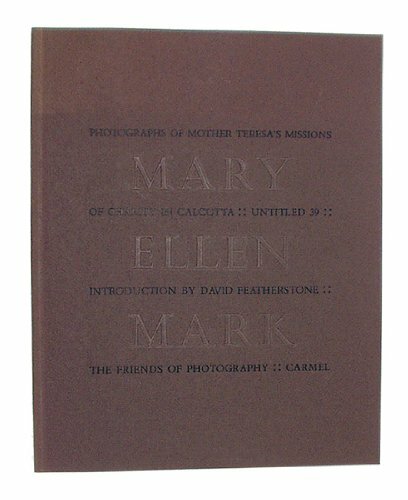 Issue number 39 of the Friends of Photography Untitled series is devoted to Mary Ellen Mark's 1983 photographs of Mother Teresa and her charity activities based in Calcutta. In these powerful black and white images of Indians suffering from disease and malnutrition, one sees the tremendous dedication and spirituality that embodies the life of Mother Teresa. Mary Ellen Mark has successfully depicted Mother Theresa's devotion to her work while giving us a glimpse of the magnitude of the problem. A beautifully designed and reproduced publication.